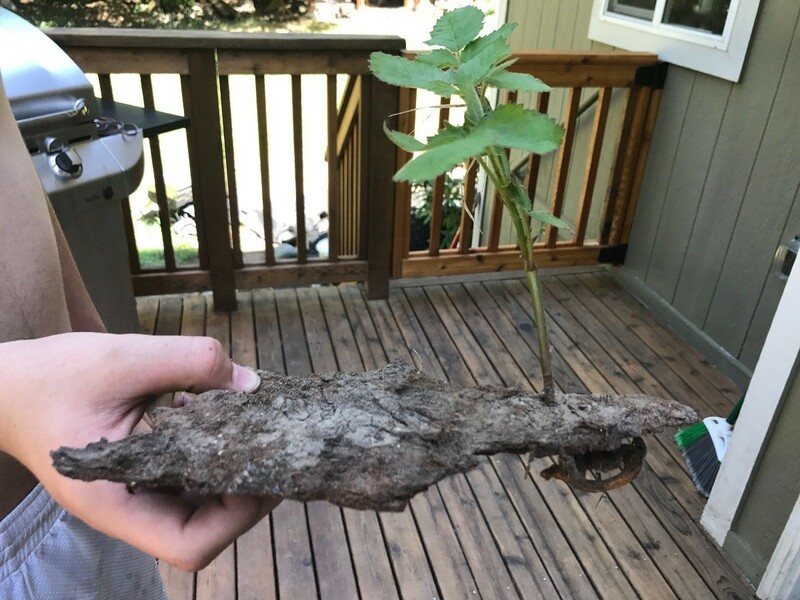 My husband found this blackberry root, growing a new plant, up through a chunk of bark. The Himalayan blackberries are extremely invasive here and can literally grow anywhere! I won't lie though, I really enjoy picking berries in our backyard. So cute! Literally grow anywhere :) Love it. I'm in Tacoma! Did you do the vinegar, salt, soap mix? Has it worked?